There are a few ways bitcoiners can store their funds securely by utilizing cold storage options like a paper wallet and hardware wallets. Currently, there are only a few well-known hardware wallet manufacturers that produce cryptocurrency storage devices such as Keepkey, Ledger, Opendime, and Trezor. However, there are two other hardware wallets that have entered the market called Digital Bitbox and Bitlox. 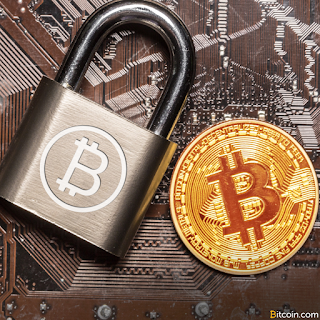 Bitcoins are extremely valuable, and hardware wallets have become a hot commodity these days. As the price of BTC rises, demand for these devices has also followed suit, as many cryptocurrency investors want to keep their funds safe. Over the past few years, there have been a few companies that offer hardware wallet solutions like Ledger and Trezor. Now there are a couple more competitors joining the cryptocurrency storage market, offering more hardware options to appease the current consumer demand. The latest bitcoin hardware product, Digital Bitbox, provided by the Swiss-based company, Shift Devices AG, believes its flagship device is a “minimalist bitcoin wallet.” The Bitbox is smaller than most hardware wallets on the market, and doesn’t use any cables as it plugs in much like the Opendime bitcoin stick. Further, the device comes with a recovery micro SD card which provides a secondary backup and can allow instant transfers between wallets. Bitbox also utilizes its own native software and doesn’t rely on browser-extensions. Additionally, the device can store multiple cryptocurrencies like bitcoin, ethereum, ethereum classic, and associated ERC20 tokens. Just like other hardware wallet competitors, Bitbox also provides FIDO Universal 2nd Factor (U2F) authentication to access funds. Moreover, Bitbox is a hardware wallet that enables “out-of-the-box” multi-signature features for added protection. The device can also be set up to be more privacy centric, as it also supports Tor and Tails OS integration for those looking for better anonymity. Further, the Bitbox wallet offers a “plausible deniability” feature which provides a secondary password for access to a hidden wallet and AES-encrypted USB communication. Digital Bitbox debuted last spring and is priced at €54 ($64 USD) which is comparatively less expensive than some competitor models. Just like every other hardware wallet on the market, demand for Bitbox has been significant, and the company is currently out of stock. Shift Devices AG details that newly produced Digital Bitbox hardware devices should be ready this month. Bitlox is another hardware device produced by the Hong Kong based Bitlox Limited. The company offers three different types of Bitlox hardware wallets that vary in price such as the Advanced ($98), the Ultimate ($148), and the Extreme Privacy set ($198). Bitlox is roughly around the same size as a credit card and comes with a USB cable for device connection. The ‘Advanced’ comes with the Bitlox device that can store 100 wallets with unlimited addresses per account. The device also works with both BIP32 and BIP39 seed phrases and also offers a plausible deniability hidden wallet as well. The ‘Ultimate’ Bitlox claims to be “indestructible” as the wallet is encased in titanium TA-2 grade alloy. Lastly, the ‘Extreme Privacy’ set provides customers with a titanium grade Bitlox but also comes with a military grade USB vault. Additionally, Bitlox added some more focus on privacy as the set comes with Tails OS preinstalled. Bitlox is a bit more expensive than the Digital Bitbox or other hardware wallets on the market. However, it offers some benefits that competitors don’t provide like the titanium encasement and the vault. The device also enables a Bluetooth connection so Bitlox can be tethered to a smartphone. Both companies have been around for over a year and offer different benefits than some of the most popular hardware wallets on the market. Both focus on privacy centric features like Tails integration and provide a hidden wallet feature. The added Micro SD card with multisignature and Tor support may entice people interested in Digital Bitbox’s features. With Bitlox bitcoin enthusiasts might also be interested in a hardware wallet made of titanium that claims to be indestructible as well.